Japanese-style pottery is an entirely different approach to throwing clay and this course introduces you to the basics of this fantastic method and gives you the chance to create your own unique ceramic piece. All materials included. 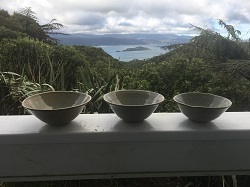 (Held at Wellington Potters' Association, 130 Grant Road, Thorndon).